Great Thinkers (2016) provides a handy guide to some of the most creative and ingenious people who have ever lived. 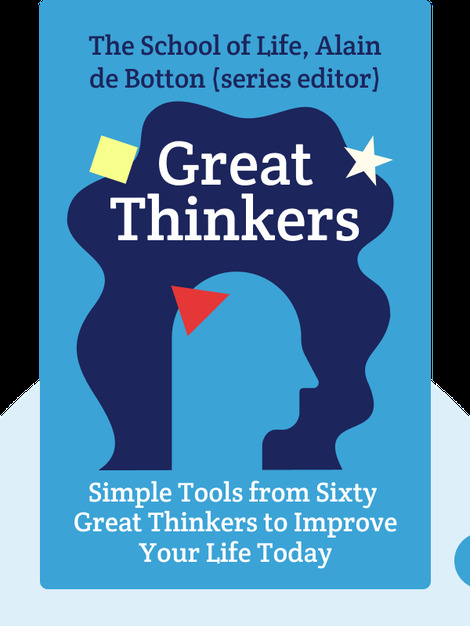 These are thinkers who have changed the way we perceive and think about the world, and their wisdom continues to be highly relevant to people everywhere. By keeping these ideas close at hand and not far from our minds, the great thinkers of the past can continue to help us live better lives today. The School of Life is an organization that promotes general knowledge and culture. It believes that the humanities can help us develop emotional intelligence, wisdom, empathy, communication skills and much more. Based in cities like London, Amsterdam and Seoul, the School of Life produces educational films, as well as classes and therapy sessions. 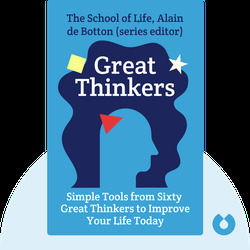 Alain de Botton is the writer of multiple nonfiction books aimed at helping people live better lives by being intellectually curious and raising important questions. His previous books include The Architecture of Happiness (2008) and How Proust Can Change Your Life (1998).